REN Clean Skincare USA is running their Friends & Family Sale Event! I’ll have my REN skincare recommendations below. Plus, Space NK UK Natura Bisse Diamond Cocoon deluxe sitewide gift and two Ulta Fragrance Samplers Beauty Break + 50% off Clarisonics brush heads!! REN Clean Skincare USA is offering 20% off sitewide* for their Friends & Family sale! GIFT 1: Shop with code FRIENDS this weekend only to save on clean skin & body favorites that will leave you glowing. Sponsored / This post may contain affiliate links. Read the full disclosure. Offer valid through Monday, March 25th at 11:59 PM PST only while supplies last. * excludes new Clean Screen SPF 30, Glow Daily Vitamin C Gel Cream and all value sets. (NEW) GIFT 2: Enjoy free shipping on any order with Clean Screen Mineral SPF 30$36. Use code SPFSHIP at checkout. Offer valid through Thursday, March 21st at 11:59 PM PST. Enjoy 3 free samples with every order. No code necessary. Everyday Free US Standard Shipping on all orders over $50 or $100 for Canada. 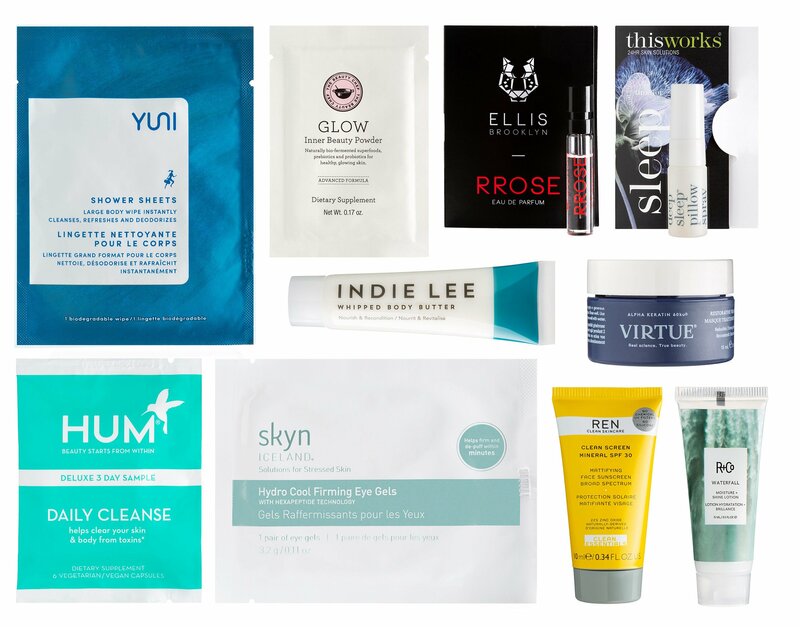 REN Skicare lives up to their promise of avoiding toxic ingredients and this is a list of beautiful items to try. Please note that I have combination skin. I lean more towards fragrance free or very low fragrance in skincare products. Below, I also picked up top ranking REN skincare reviews on Makeupalley and also top REN Skincare picks by Caroline Hirons! Enjoy! REN Perfect Canvas Serum Primer Review $55 — my hall of fame! IcanGWP Review: The probiotics, hyluronans and agave tequilana extract not only promotes overall healthier skin structure but also provide a priming effect and mattifies without the use of silicone. The liquid primer is so light, almost like toner texture. I experimented with it a little bit and only 2 drops worked wonders. One of my tests is to put a primer on the right side of my face only. The first thing I noticed is my skin visibly lifts and is so plump. It’s glowing and is so full like I had my facial done. It does not completely cover all fine lines or pores like heavy primers but really did notice an overall improvement of the look of skin. I love the long-lasting makeup application on my t-zone. This made the way to the primer for glowing from within hall of fame! I now have four on my list! Here’s the ingredients, short, clean and beautiful! According to REN Skincare Ireland — Skincare queen Caroline Hirons recently shared an in depth REN brand overview with her followers and included her must have REN products. Space NK UK (NEW) Free Natura Bisse Diamond Cocoon Deluxe Set Spend £120 on any purchase. Natura Bisse Diamond Cocoon is a new luxurious line from Natura Bisse prices $77 – $325! (NEW) 300 bonus points with Urban Decay Naked Reloaded palette purchase. (NEW) Colourpop Disney Villains collection!!! (4d) Receive $3.50 off $15 purchase use coupon 718128 (exclude prestige brands) any qualifying purchase – printable version coupon here, ends 4/6.